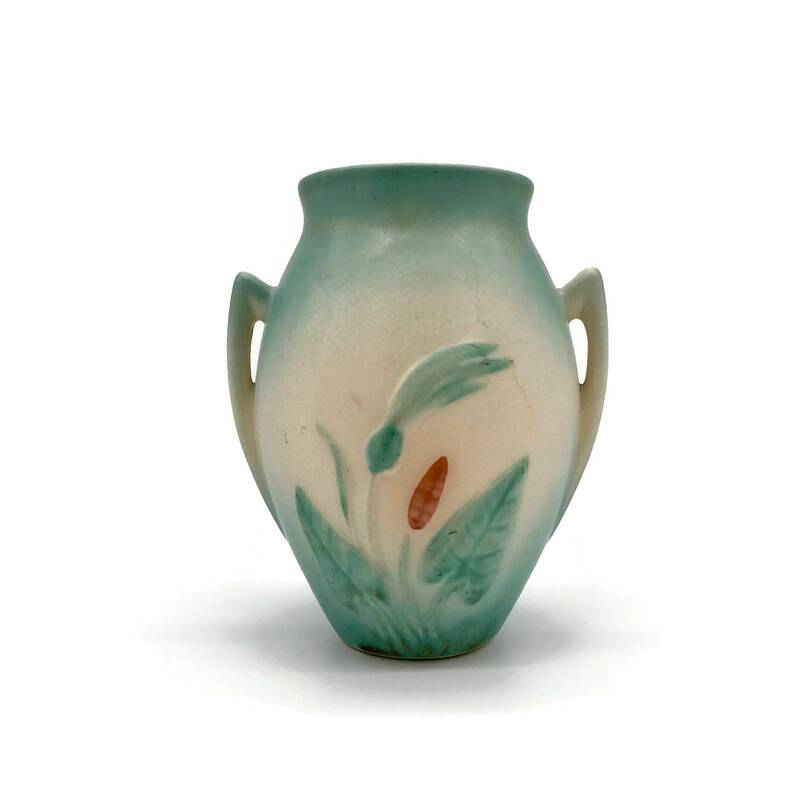 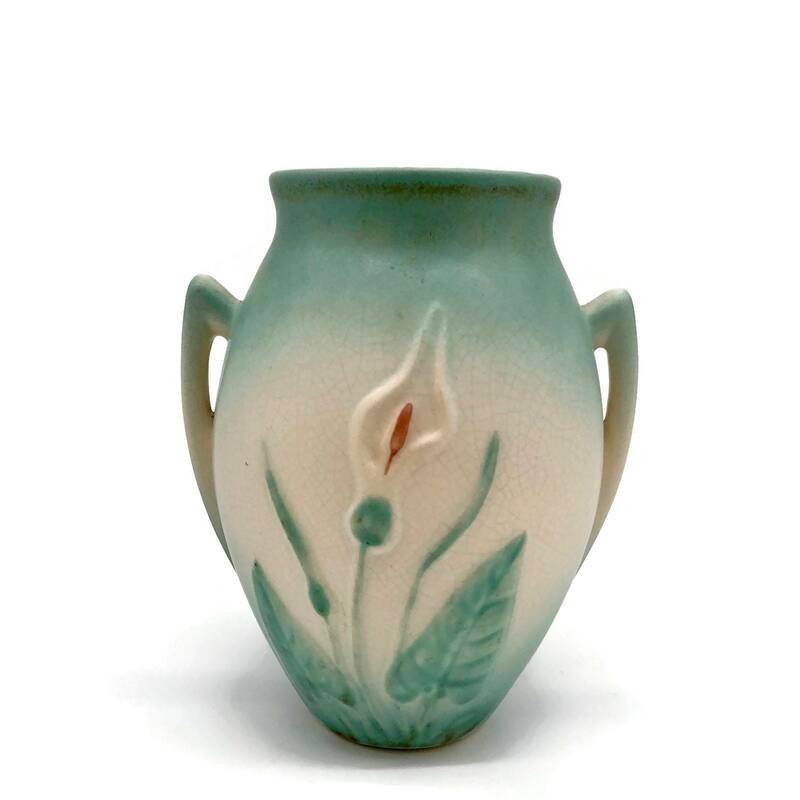 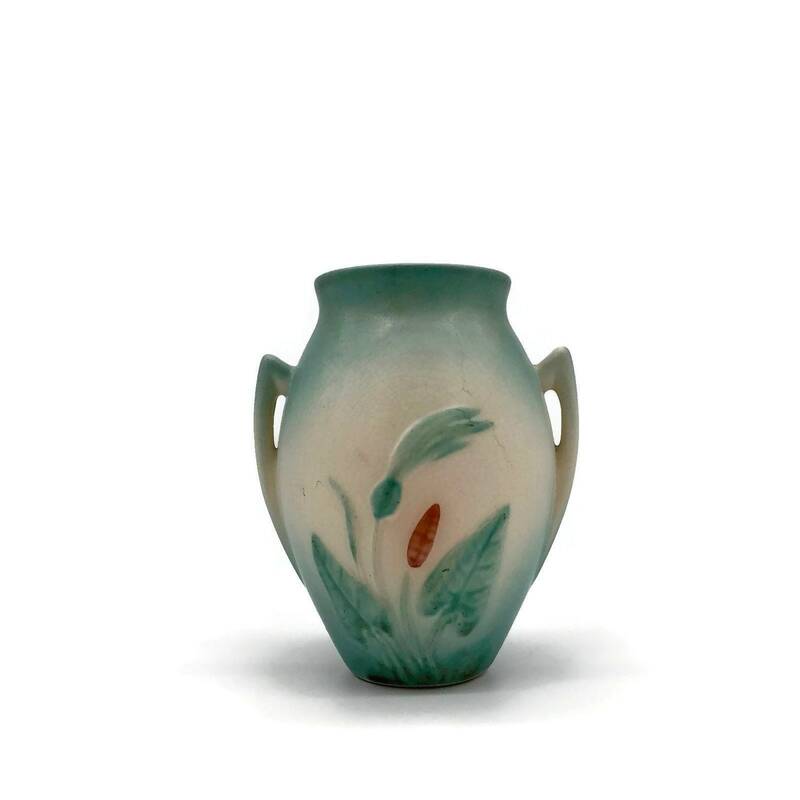 Beautiful vintage Hull ceramic - a double handled vase/urn with lilies. 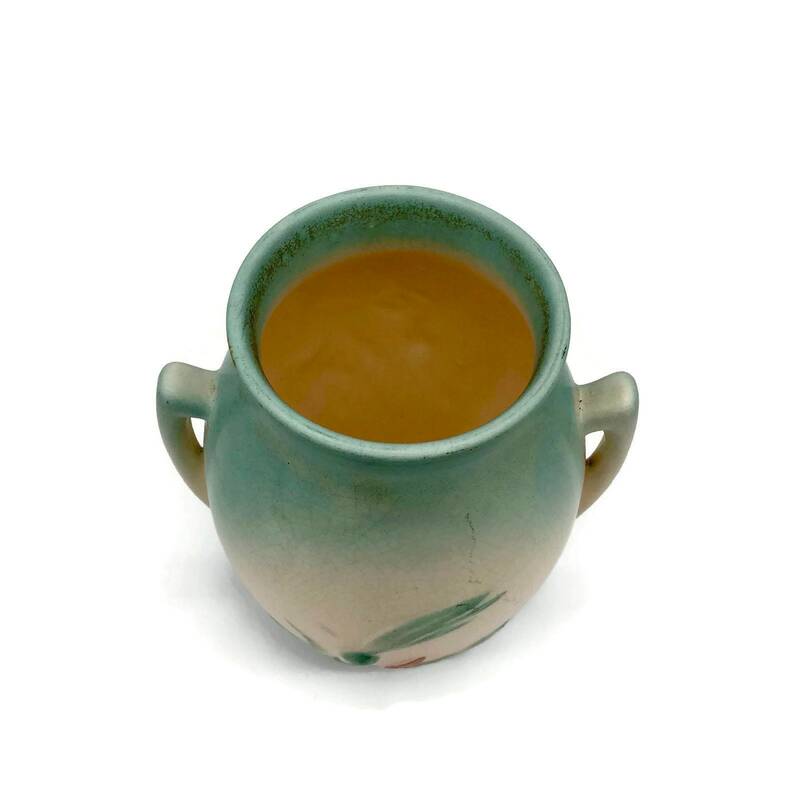 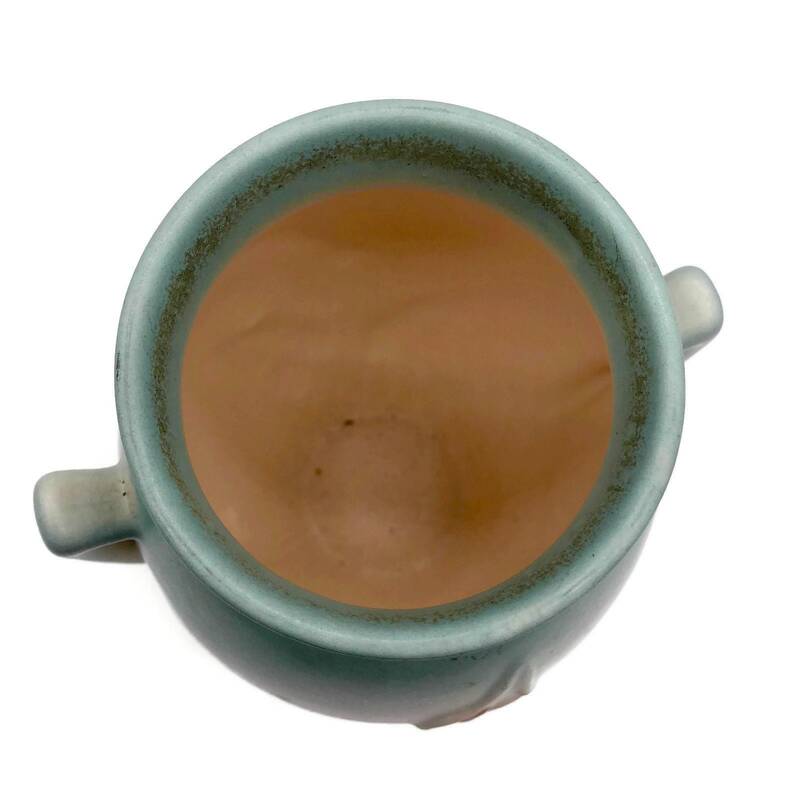 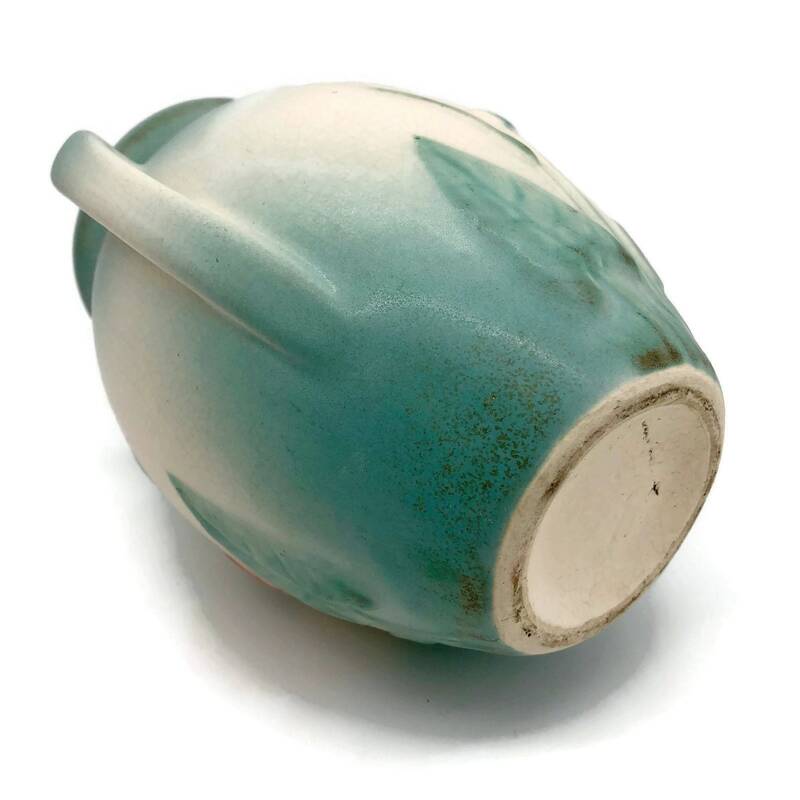 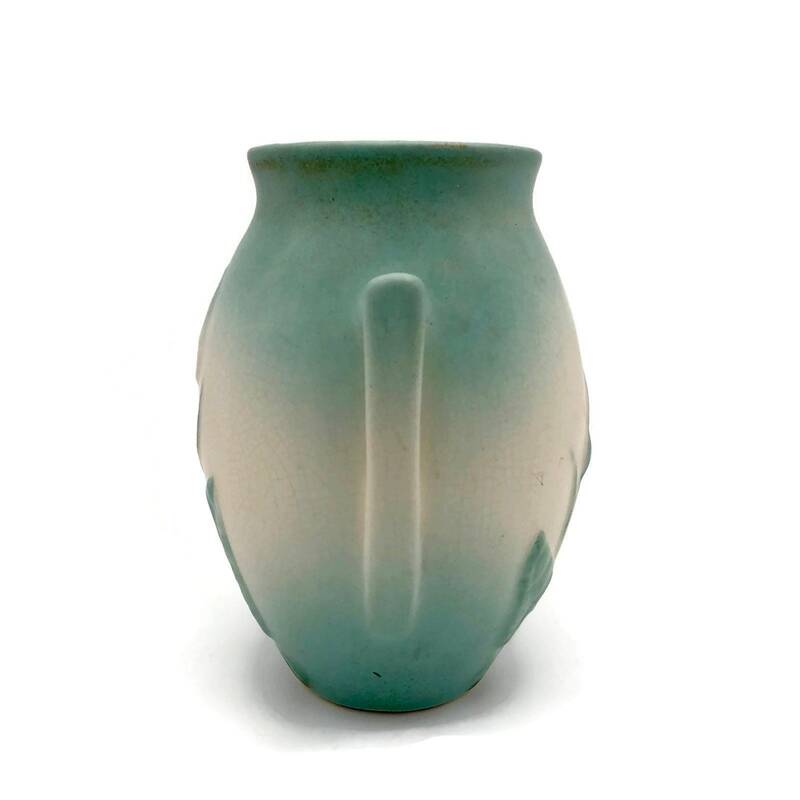 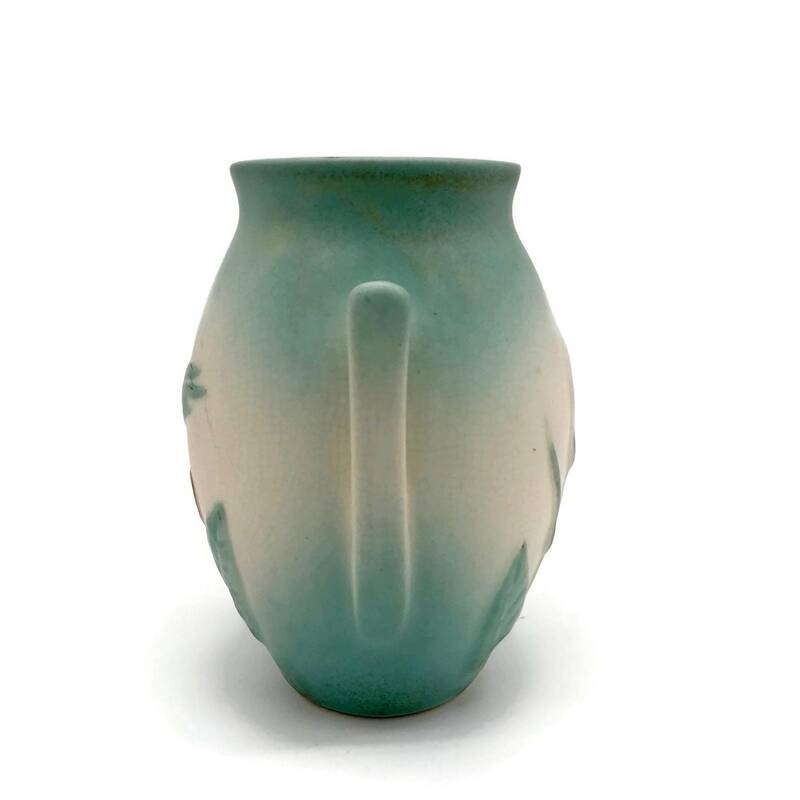 The piece has been glazed in a pale aqua, ivory and light brown. 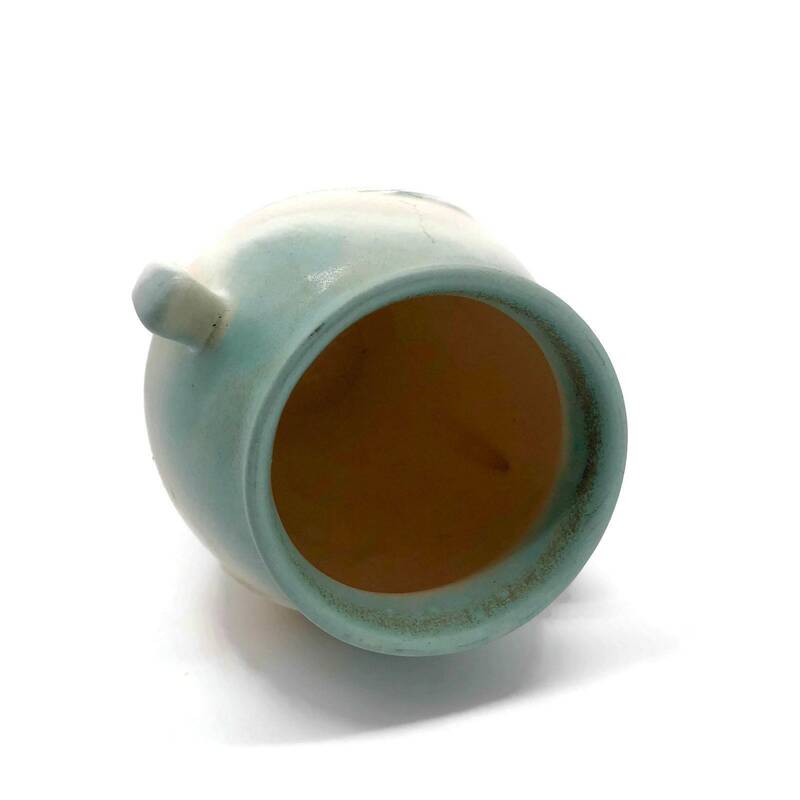 Crazing and crackling but no significant cracks.